Aglaia Konrad s’est concentrée sur trois oeuvres de l’architecte décédé en avril dernier : le musée Abteilberg à Mönchengladbach, Vulcania, centre français de culture scientifique situé en Auvergne, à Saint-Ours-les-Roches ainsi que l’école élémentaire de la Kohlergasse à Vienne. Du 25 juin au 5 septembre. International star architect, sole Austrian winner of the Pritzker Architecture Prize, designer, artist, curator, exhibition organizer, theorist, educator, city planner, media visionary, cultural anthropologist: As a designer in the most comprehensive sense, Hans Hollein has given the term “architecture” a new dimension, while with his still relevant analysis of “the man made space”, turning a fundamental question into a visionary statement: “What is design?”. The MAK exhibition HOLLEIN delves into his rich universe and undertakes a sweeping new contemplation of his entire body of work based to a large extent on materials from Hans Hollein’s archives that have never been shown in public, including working models, original drawings, objects, and items left over from exhibitions, sketches, notes, scratch paper, photographs, films, and much more. This solo exhibition conceived of by guest curator Wilfried Kuehn and MAK curator Marlies Wirth approaches Hollein’s work by thematic priorities rather than retrospectively or chronologically. In harmony with Hollein’s way of thinking, the exhibition does not separate architecture, design, and art, but contextualizes his complex oeuvre by providing analogies of sense and form along a “parcours” through the exhibition. New photographs created especially for the MAK exhibition by contemporary artists Aglaia Konrad and Armin Linke open unfamiliar perspectives into Hollein’s architectural works. The MAK invited these two artists to photograph anew his innovative buildings from the last five decades. 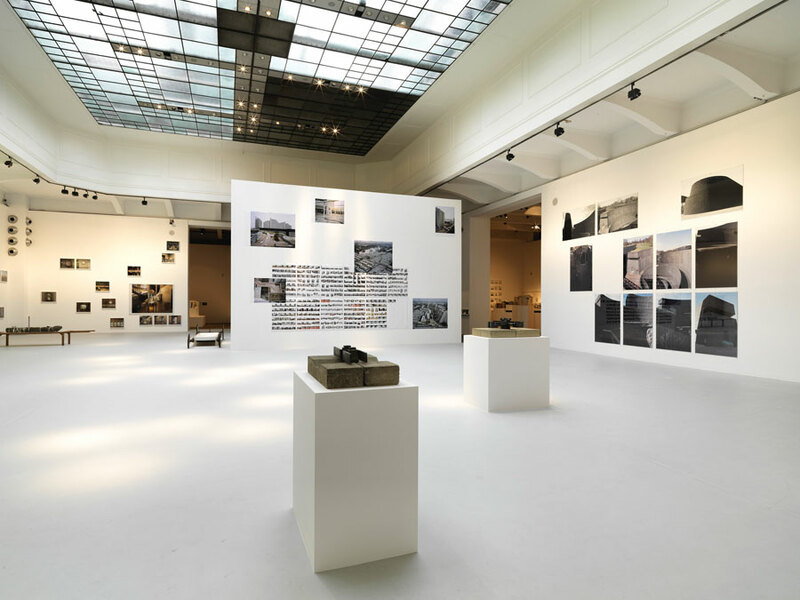 Prime examples of Hollein’s museums, such as the Museum Abteiberg in Mönchengladbach (1982), the Museum of Modern Art (MMK) in Frankfurt/Main (1991), the Tehran Museum of Glass and Ceramics (Iran, 1978), or Vulcania, a vulcanology museum in Saint Ours-les-Roches (France, 2002), are on display, as are Media Lines, the orientation and communications system he designed for the Olympic Games in Munich (1972), and also wellknown Hollein projects in Vienna’s inner city, among them the former candle shop Retti (today the site of the jeweler Y. Gadner) (1965), the boutique CM (1967), and the former jewelry store Schullin am Graben (1974). Displayed in various formats and sequences, the photographs of the two artists are complementary, and together, create a conceptual spatial collage. Hollein’s visionary architectonic concept of the “Kleeblattprinzip [Clover Leaf Principle],” which he developed for his first museum project, the Museum Abteiberg Mönchengladbach, has been implemented as the model for the architecture of the Hollein exhibition. The succession of rooms proceeds on the diagonal, whereby this diagonal arrangement of square rooms opens up completely new sightlines and cross-connections between the individual rooms and the works displayed therein. The typical symmetry of the MAK exhibit space is foregone in favor of conveying an exhibition experience that makes Hollein’s design principles palpable. The MAK exhibition HOLLEIN (25 June to 5 October 2014) was prepared in collaboration with the Museum Abteiberg, Mönchengladbach, where the exhibition HANS HOLLEIN: Everything is Architecture [Hans Hollein: Everything is Architecture] (13 April to 28 September 2014) is being mounted to offer another new view into Hollein’s body of work. The exhibition at the MAK will be accompanied by a publication, produced in cooperation with the Museum Abteiberg, focusing on the new photographic works by Aglaia Konrad and Armin Linke, which enable a new visual contemplation of Hollein’s architecture. 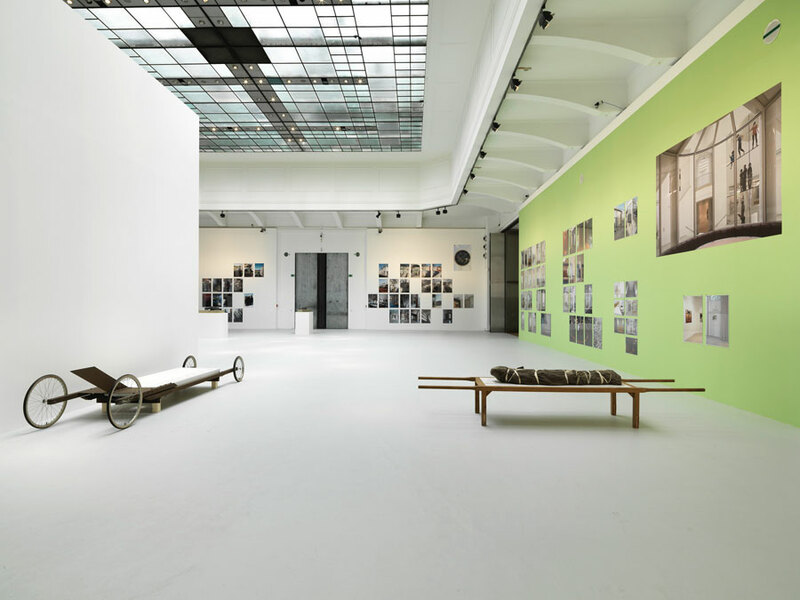 Les « Photographies de Vernissages » de Jacques Charlier accompagnent l’exposition « Genuine Conceptualism », à la Fondation Hert à Gand. Avec Genuine Conceptualism , Herbert Foundation invite Lynda Morris à présenter, par le biais de ses archives personnelles, une réflexion sur l’avant-garde artistique des années 1960 et 1970. En tant que protagoniste, Morris écrivait à l’époque pour Studio International et noua, par sa collaboration avec Nigel Greenwood, Germano Celant et Konrad Fischer, des liens étroits avec des artistes tels que Art & Language, Carl Andre, Joseph Beuys, André Cadere, Gilbert & George, David Lamelas et Mario Merz. Lynda Morris propose son discours au sujet de cette période par une vaste sélection d’œuvres d’art, de textes, d’articles de presse, de correspondances, de catalogues, d’affiches et d’annonces. Le titre souligne l’intention de l’exposition: à la fois approfondir et révéler ce qui a été. L’exposition pourra se visiter au rez-de-chaussée des espaces et s’accompagne d’une publication regroupant un choix de textes de Morris sur l’actualité artistique des années 1960 et 1970. With Genuine Conceptualism, the Herbert Foundation invites Lynda Morris to provide a contemporary reflection on the artistic avant-garde of the 1960s and 1970s, based on her personal archive. 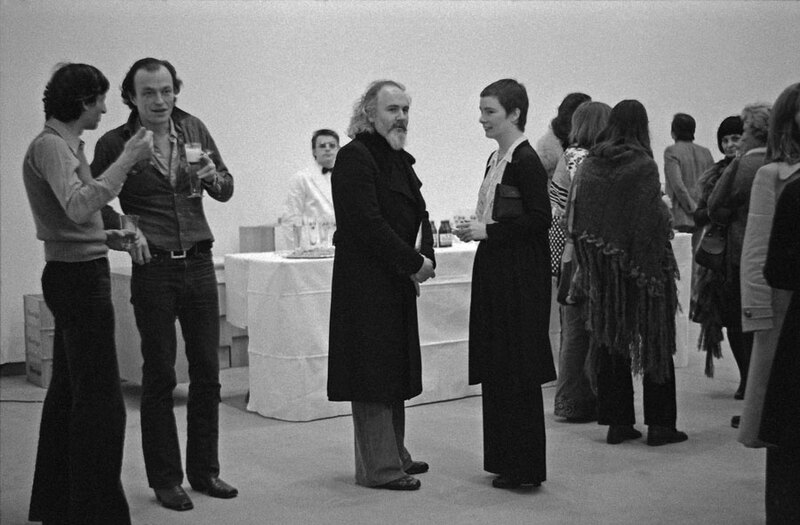 As a protagonist, Morris wrote for Studio International in those years and, in cooperation with Nigel Greenwood, Germano Celant and Konrad Fischer, built on close ties with such artists as Art & Language, Carl Andre, Joseph Beuys, André Cadere, Gilbert & George, David Lamelas and Mario Merz. Based on an extensive selection of artworks, texts, press articles, correspondences, catalogues, posters and announcements, Lynda Morris will launch a discourse surrounding this period. 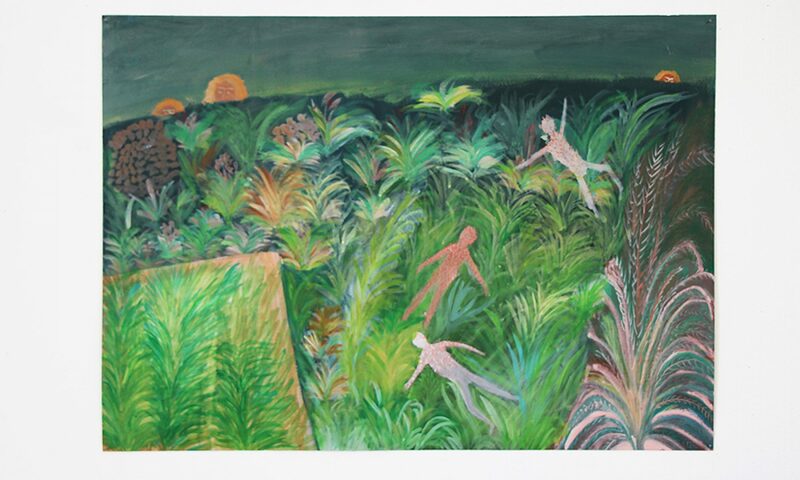 The title underlines the exhibition’s intention: the simultaneous exploration and opening up of what existed previously. The exhibition will take place on the ground floor of the exhibitionspaces and will be accompanied by a publication bringing together a series of texts by Morris concerning the artistic events of the 1960s and 1970s.